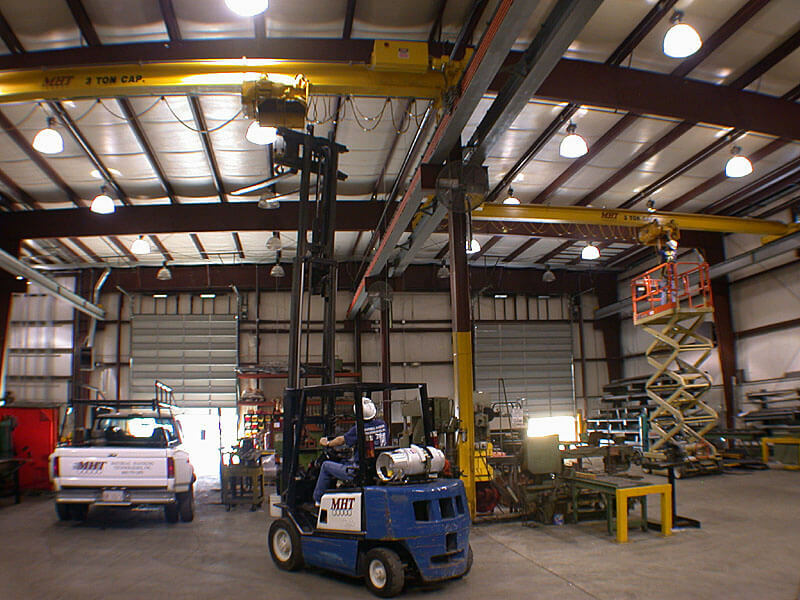 When your business is utilizing crane systems, you need peace of mind knowing that every piece of your crane or hoist is functioning properly to ensure safety and maximum productivity. 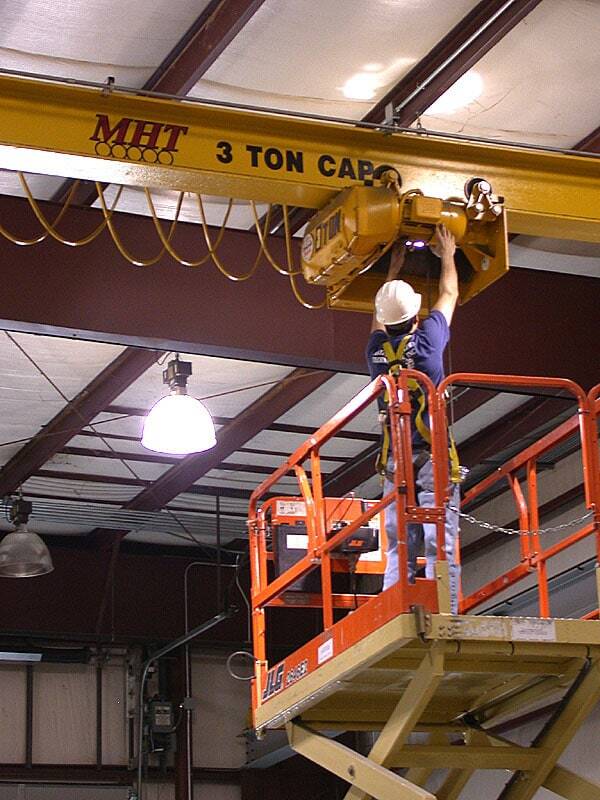 If you require maintenance on your crane system, Material Handling Technologies, Inc. provides service technicians and millwrights who are experienced and fully capable of handling all of your repair requests. We’re proud to provide monthly, quarterly, semi-annual and annual inspections by our factory trained, OSHA compliant technicians. We offer on-site load testing with our 70,000 lbs of certified test weights or our 20,000 lb capacity Dynamometer. If your business requires larger capacities, we’ve got you covered. For those instances, we use water bays or mobile crane counterweights. Our conduct operator training service comes complete with a training tape from the “Crane Institute of America” and we provide completion certificates to those participants who pass the written test. If you’re in need of a repair for your crane or hoist system, turn to our talented service technicians to get your system back on its feet and running properly. Call us today at 1-800-779-2475 or fill out the contact form below.